An occasional series of fortnightly posts with useful graphs for campaigners. Spotted this in the very useful Connectivity blog. It’s from the US, but I suspect the results would be similar in the UK. More people are opening advocacy emails. Advocacy open rates in 2014 were 16% — that’s 9% higher than the same organisations saw in 2013. Fewer people are taking action. For every 1,000 advocacy emails an organization sent, they generated 29 actions (we’re talking basic fill-out-a-form stuff like petitions and letters to Congress). That’s down 18% from the same organisations’ response rates in 2013. 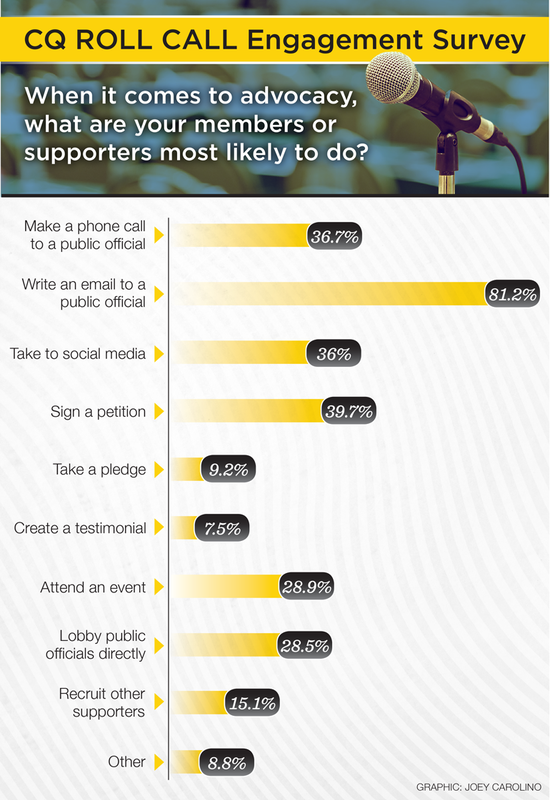 Some useful food for thought as we consider who we get supporters to take the most effective actions to take. Thanks for sharing Tom. This is really interesting. Would be good to dig deeper into the info in the graph – to know what kinds of organisations were surveyed, how big they are, what they campaign on, how they campaign, what they normally ask people to do, how often they ask, how their activist engagement is structured etc. Do you know any of this? In terms of highest level activism in the graph, lobbying officials, I’m very surprised almost 30% of supporters would apparently do this. That’s certainly not true of campaigners in the UK development sector! We’re way under that. I’m pretty sure our petition asks get a much higher response than email to target ones too, which is the opposite of the graph.The shrinking responses to e-actions in the benchmarking are less surprising. There are so many campaigns now! I personally think we need some new tactics – I take less email actions myself now as there are so many. Do you know when the UK benchmarking comes out?